In a small one-bedroom apartment in Clearwater, Florida, 93-year-old Russell Gackenbach sat on his floral patterned sofa thumbing through a photo album containing original prints of some of the most iconic people and events in United States military history. As if it were yesterday, Gackenbach joined story to photo and name to face. Though 70 years had passed, the vivid details of his tale and the sincere expression in his voice showed that each of those people and moments were near to his heart. Gackenbach was a second lieutenant, aircraft navigator and photographer who flew into the heart of Japan on Aug. 6, 1945, where “Little Boy”, a 9,000-pound uranium-235 atomic bomb was dropped on Hiroshima. Unbeknownst to him at the time, the mission signified the first time a nuclear device had been used in warfare. Upon graduating from Allentown High School, Pennsylvania in 1941, Gackenbach prophetically took a job at the Bethlehem Steel Company as an inspector of bombs and shell casings for the military. A short while later, 20-year-old Gackenbach decided to follow his childhood dream of becoming a pilot and enlisted in the U.S. Army Air Corps. After earning his navigator certification and completing the radar operators course in Boca Rotan, Florida, Gackenbach was shipped off to Wendover, Utah. There, just seven months after receiving his commission, young Gackenbach embarked on an unimaginable journey, one that would change the course of history. Honored by the recognition and intrigued by the opportunity, Gackenbach accepted without hesitation. Shortly thereafter, Gackenbach and his crew came face to face with Tibbets for the first time; it was then, they finally got a glimpse of what the mission would entail. 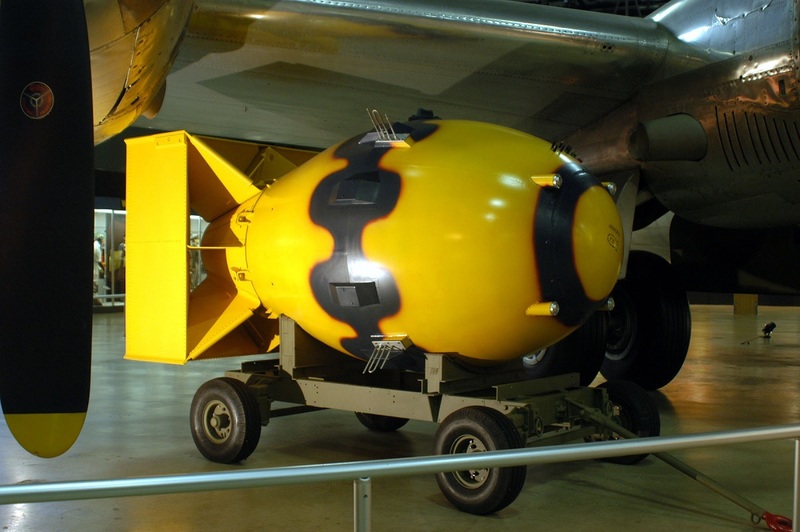 “Tibbets came over to us and said ‘there is a new bomb under construction and, if successful, it will shorten the war,’” recalled Gackenbach. “He was not able to tell us exactly what it was or any more details about it. He informed us that we were going to be under tight security, our movements would be limited, and we need to learn to keep our mouths shut. 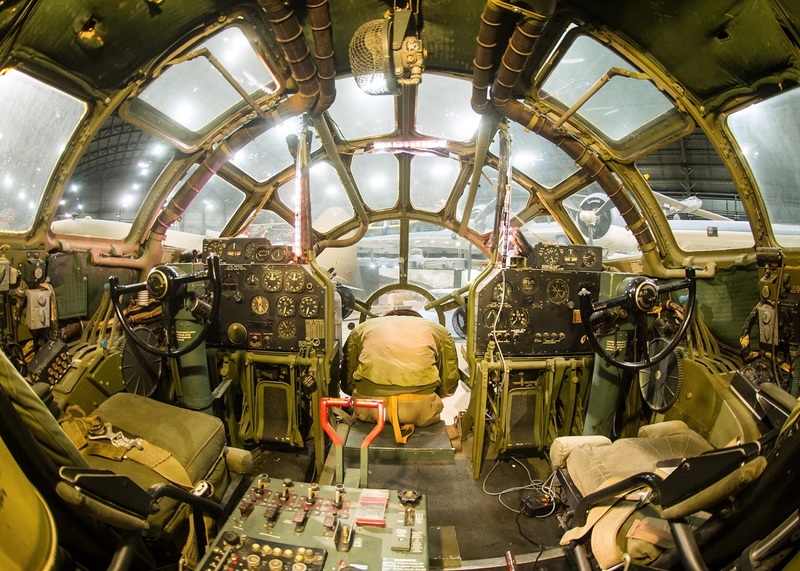 The newly formed crews spent day in and day out transitioning from the B-17 Flying Fortress to 15 mission specific B-29 Superfortresses modified to accommodate the new atomic bombs. 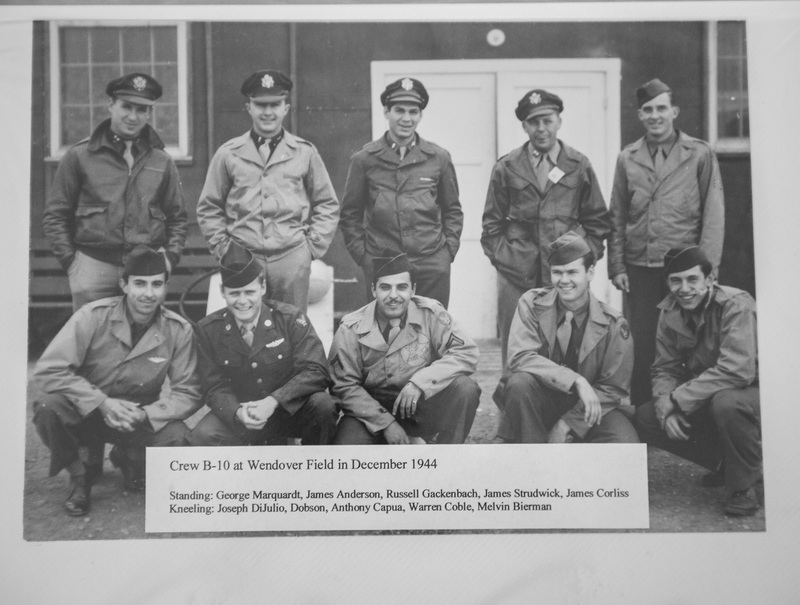 From September 1944 to April 1945 they trained tirelessly out of Wendover Field; until, in May, they packed up their operation and transitioned to the island of Tinian in the Marianas. The island was secured by the 4th Marine Division Aug. 1, 1944, after a bloody campaign to wrest control from 9,000 Japanese soldiers. Tinian, along with the neighboring islands of Saipan and Guam, was now home to the 20th U.S. Army Air Force and, after 15,000 Seabees built six 7,900-foot runways to accommodate the B-29. The group trained for nearly a year, dropping what they called “pumpkins;” inert test bombs built by a special ordinance group, the 216th AAF Base Unit. 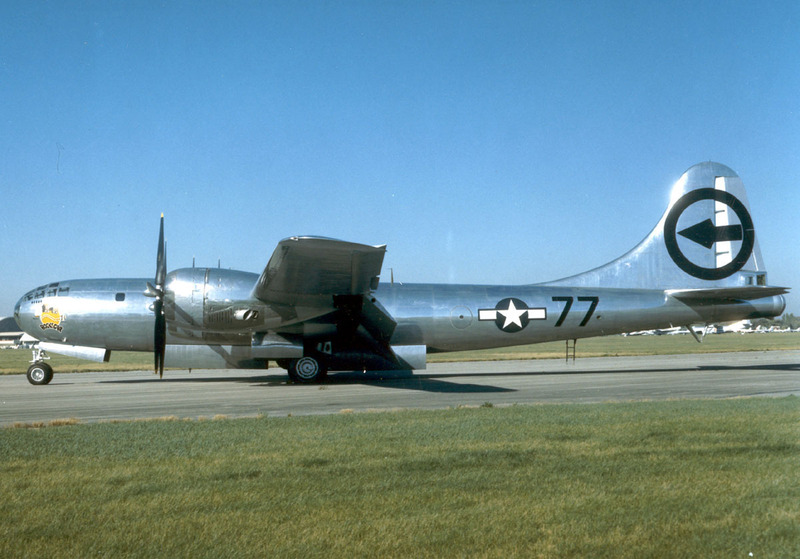 The inert bombs were dropped by B-29s during training to furnish information on ballistics, electrical fusing and detonators, release mechanisms, and the effect on the flying characteristics of the aircraft. Preparation missions continued through Aug. 5, 1945, the day prior to the dropping of the first atomic bomb. 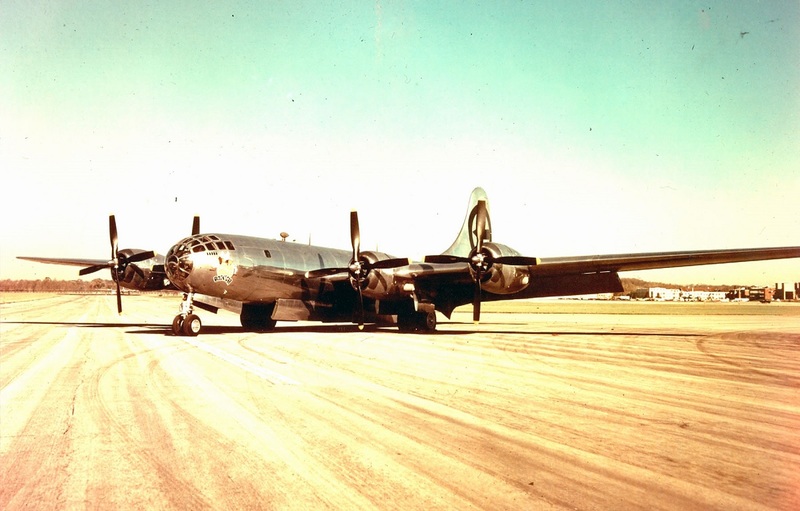 On Aug. 5th, the crews scheduled for the bombing mission were called in. Upon arrival, they were searched, told to empty their pockets and proceed to the briefing room. At the briefing, they were given only the information needed for the flight—route, targets and individual job assignments. The following morning, the assigned crews huddled for a last minute special mission brief; they finalized details and a grabbed a quick breakfast. Then, around 3 a.m., three B-29s, the Enola Gay, the Great Artiste, and the Necessary Evil, took off for Japan’s southern coast. 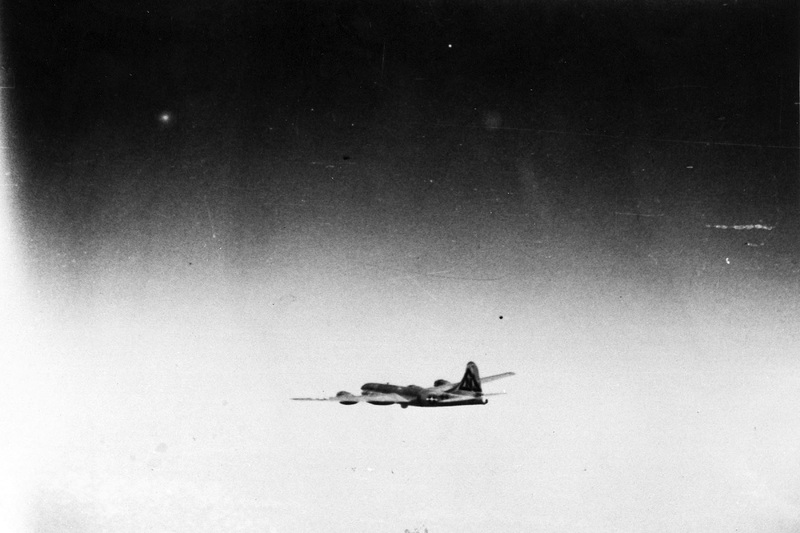 Immediately, the Enola Gay and The Great Artiste made diving turns to the right, to get as far away from the bomb as they could. Gackenbach and the Necessary Evil, lagged behind the first two aircraft and the bomb exploded directly in front of them. As a huge mushroom-shaped cloud boiled skyward, Gackenbach raised a camera to his eye and triggered the shutter. From the first training flights to their arrival over the target, the crews knew that this was no ordinary bombing mission, but nothing prepared them for what they witnessed 47 seconds after the call of “bombs away”. 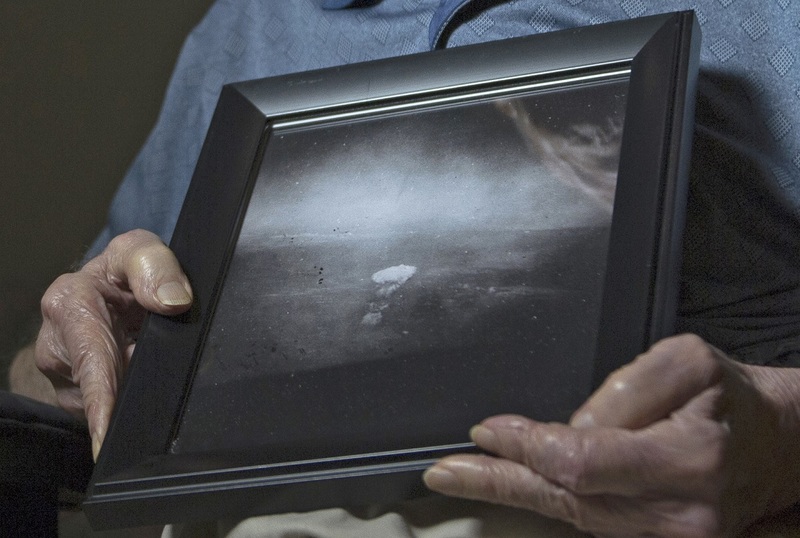 The magnitude of the event was not evident to the crews until days later, when they were shown photographs of Hiroshima–that is when they truly understood the devastating effect of the weapon they had deployed. “We never really talked about what we did—I stayed mute for a very long time. Even during our reunions, we only talked about each other and the time we spent together,” said Gackenbach. Military planners had already scheduled Operation Olympic, the invasion of the Japanese home island of Kyushu, for Nov. 1, 1945. It would be followed by the invasion of the main Japanese island of Honshu in 1946. Given the unprecedented American losses during the battle for Okinawa that spring – one third of the invasion force was killed, wounded or missing – U.S. government casualty estimates for an invasion of the Japanese home islands were 1 million American dead and wounded. Instead, the atomic bomb missions, to Hiroshima and Nagasaki on Aug. 9, led to Japan’s unconditional surrender on Aug. 14, 1945 and the end of World War II. “Looking back at the event 70 years later, I still believe the right decision was made and I think that President Truman knew that as well. Can you imagine if people found out we had a device that would save millions of lives and did not use it? He would have been in a peck of trouble,” Gackenbach said. 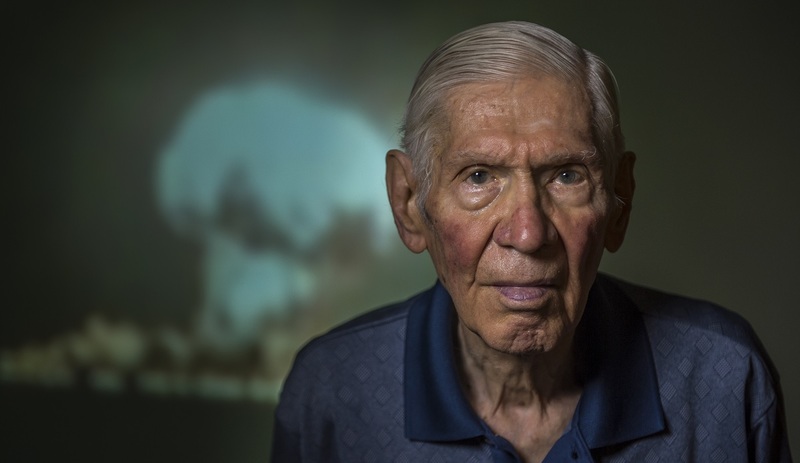 To this day, Gackenbach, the lone-surviving member from the first atomic bombing, travels from school to school, city to city, shaking hands and giving his firsthand account of one of the most defining moments in U.S. military history.